Life is a bit interesting, isn’t it? It is exhilarating, scary, magnificent and confusing. We all trek along this journey of life with plans. Big and small, we all have plans. We have calendars, goal sheets, dream boards and apps that keep us on track. This works great if you know what you are doing. 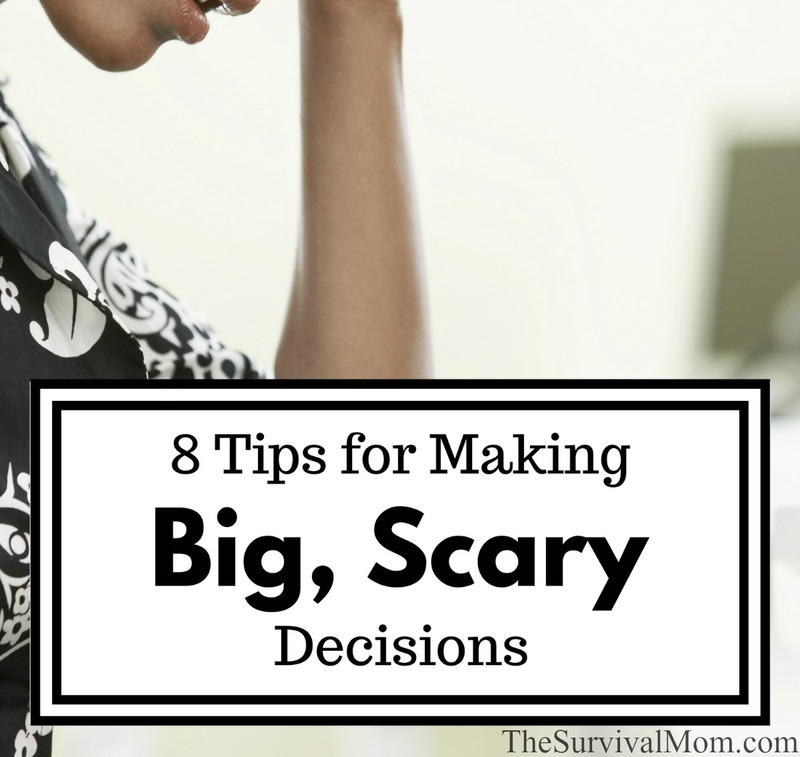 But what do you do when you’re faced with a big, scary decision? How do you decide what to do when you don’t know what to do? Do I take this job offer? Should I go back to school or get married? Whether you need to make a fast choice or have time to ponder, here are some steps to help you have the optimal outcome from your decision. Breathe and do not over think. Our minds can wander and drive us crazy, especially at 2 a.m. When you’re pondering a big decision, only think about things that you have control over. Start every day with an attitude of hope and optimism. You never know what is around the corner and thinking about every horrible scenario is a waste of energy. Every situation really does have at least one solution. With the ups and downs that life has, learn from the journey, figure out your potential and experience new things. Challenges are not a curse. They are an opportunity to learn more about yourself and what you are made of. The end result will give you a confidence, a sense of satisfaction and a feeling of gratitude for things you may not have paid attention to earlier. We all have different talents and abilities. Most of us know at least a few things that we are good at. Often there are skills we possess that we may not see, but others do. Ask those you know well and trust what they see your gifts are. You may be surprised by their response or may not take it seriously. But take the time to explore their comments. If you are looking for a new career or want a change, try taking a career quiz like this one. Another quiz to help you gain some insight is the Jung, Briggs Myers personality type test. It will give you some guidance about your attributes. List what you are passionate about and find a way to use those passions into solutions. Know what you stink at. I do not care for math, to put it politely. I will never be a math teacher, though I do admire them. Knowing that I will never go into a profession that involves a lot of math, makes some decisions easier. If you do not like being outdoors, do not make decisions or create a life that will put you outside. So figure out what you are not good at and what you do not like to do. Life is too short to spend time trying to be or do something you are not. 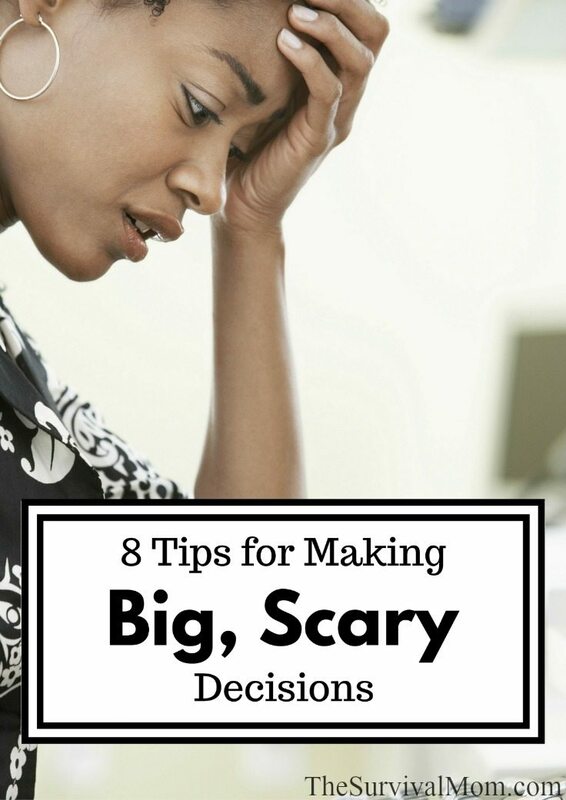 This alone may help you make that big decision! When we are at a cross roads in life and decisions need to be made, feelings of uncertainty and doubt can creep in. It is easy to be overwhelmed and do nothing. To keep on track, stick to the basics and your schedule. Keep doing what is working. Do not let a bump in the road affect the other areas of your life that are good. Stick with your daily routine, exercise, eat healthy and maintain a connection with those you love. Maintain boundaries and know how to say “no” when necessary. Look at your priorities and dismiss anything that is taking you off course. Focus on only the vital tasks that need to be done. Make a list of only 5 things to do a day. This small step can help keep things in perspective. It forces you to prioritize what is important and at the end of each day, you will have made progress and maintained some stability in your life. Just keep moving toward the direction you think you want to go. With forward movement come opportunities that you may not have seen coming and quite possibly, clarity for that big decision. Keep working towards what you think you need to do. Do not wait for the big picture or when you think you see things clearly. Small improvement is better than none at all. Nothing will get better sitting on the recliner feeling sorry for yourself. Little by little and staying on track with your values will help clarify the choice you must make. One strategy described in the best-selling book, Eat That Frog!, describes a scene in the Sahara desert in which travelers focus on make it to the next oil drum, in a long line of oil drums. By setting small, achievable goals, the traveler can eventually make it across the vast, dry desert. Apply this concept and continue moving forward. When you think you have made the big decision, ask for advice from others. Seek professionals in a field that you may be interested in, talk with people that you admire. Find those who are currently where you want to be. Research what others have done who have been in your situation. Read books about others that have had tough decisions to make. Find books that help you learn more about yourself. There are inspirational videos and articles online that are written by people like you, who have had to make decisions when they were not sure what to do either. Online groups can offer advice or networking options. Getting involved in a local organization may be one way to study out some options. Another benefit is being with people who are usually willing to encourage and help. Many times in my life I have wished that God would send me a big blueprint in the mail with every detail in my life that He would like me to do. As wonderful as that sounds, that is not how He works. There is great learning and peace that comes from prayer, especially when faced with life’s major decisions. First, learning comes from having faith and trust that God is very aware of you and your circumstances. We learn patience and how to quiet the things around us as well as our minds. We learn what is important and that we need to take the time to pray or meditate. It is in these quiet times that we allow our mind to be open. Ideas, thoughts and solutions can openly flow and inspiration can be received. We need to be quiet and listen. Second is the peace that prayer and meditation offer us. Even if we do not immediately receive an answer to a prayer, there is a clarity that comes knowing that God is in control. He will not prompt you to do something that would be detrimental to your life. Tender mercies and miracles are often in the works and we cannot see them. They can come through God, but remember that He often works through others too. Do not stray from your morals and foundational beliefs. People are often tempted to make a decision that they would not normally make if they feel they are in a corner. Do not make a decision that goes against your morals. Circumstances come and go, but your integrity is something you want to maintain. Nothing will compare to the feeling of knowing that you were honest and fair with others and true to yourself. You never know who is watching you and may see you as an example. There are plenty of news articles that come out almost daily of people who have chosen to have dishonest business practices, devastate their family by affairs, abuse or abandonment, ruined friendships and destroyed their reputation. Do not give up, you are becoming awesome! When we feel that we are stuck, decisions are made based on fear, or the “what if’s”. What if I don’t find a person I am compatible with and want to marry? What if I do not get another job offer at my current pay? What if I move and hate my new location? What if I cannot find good friends? What if this is as good as my health, finances, kids, or life will ever be? Do not use obstacles in your life as an excuse to do nothing, make a lazy decision, or to bail. You will never know what you are capable of accomplishing if you walk away. We do not accidently fall into our success. It takes perseverance and tenacity. Some of the best accomplishments in life have happened to those who kept hanging on. You will learn so much about yourself and what you are made of. A deeper sense of triumph and understanding of who you are will be one of your rewards. Sticking with it builds character and strength. When future decisions need to be made, you will have your past experience to lean on. You will know that you have the ability to stay on track and see things through to the end. 1. The harder I work, the luckier I get. 2. If you have time, ‘sleeping on a problem’ often leads to a clear choice. Your mind works in the background and sends you the results when a decision is ready. 3. Life is not something that just happens to you while you weren’t looking. Take part! Take charge! You are what you make of yourself, not the result of someone else’s decisions. These three things have been a guide and at times a comfort. I hope they shine a bit of light for you. Sometimes when “leaning forward in the foxhole” you eventually have to fix bayonets and go forward over the wall.